I needed something for my blog post so I headed out to my trails looking for adventure. There’s always some potential adventure on my trails. My person, who drives me nuts with all those pictures she takes – Did I say nuts? Nuts are good treats. Hey person, where’s the nuts? Oh. I got off the track, didn’t I? Well, my person, who is always taking pictures until it drives me bonkers, didn’t take any pictures of this adventure. She’s failing on the job. I don’t know what’s wrong with her. She even had her little camera with her. She could have whipped it out and taken pictures. Well, Clyde didn’t mind very well and he came running right over to me. And Clyde started picking a fight with me. I would have given Clyde what for but I had to protect my person. Who knows what Clyde might have done with my person. He might have tried to steal her from me. Clyde’s person came and attached Clyde to her leash so he couldn’t fight with me anymore. And she said Clyde had never done that before. 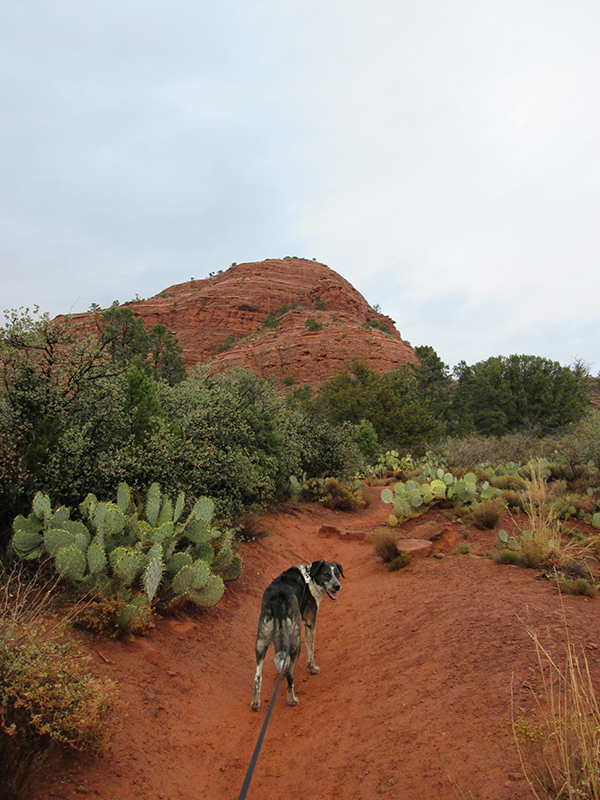 I am a famous blogging dog, and everybody knows that these are my trails. I bet Clyde wanted to chase me off my trails and steal them from me. I bet Clyde heard about my girlfriends that hang out on my trails and he wanted to steal them too. From now on I’m going to be watching for Clyde. And if he comes back I’m going to make sure my person takes a picture of him. And then I’m going to hang it with a big Wanted sign underneath. Good job protecting your person and your trails Bongo! Wooooowoooooo! Thanks Ku. It’s a constant battle around here. Good Job Bongo protecting your person. I have a question though. Was Clyde maybe a fan of yours, but doesn’t know how to express how much of a fan she/he is? Though it is possible Clyde just wants your popularity. You are all that and a bag of treats ya know. Thanks Kimberly. If Clyde’s a fan I hope I don’t have many. That kind of fan is dangerous. I’d have to go into hiding. Sounds like Clyde needs to learn some manners. Marina, if I get a doggyguard I hope it’s a cute girl doggie – or a bunch of cute girl doggies. Clyde wouldn’t have a chance. My hero,! You are a wonderful, courageous dog, undaunted by impending danger, you defended your person to the hilt…what a hero! Patrecia, I’ll just hold my own and make Clyde feel a little sheepish. What a scary story! Clyde sounds like a naughty dog with an agenda. I hope he didn’t bite you. You were very brave to protect your person. Cupcake, nobody got hurt. I think maybe Clyde was trying to look like he was something without actually being something. Lily, the other one my person likes is when people with dogs off leash say, “He’s friendly,” as if that makes it okay for their dog to come up to me. Sometimes I give them what for. Whew, good job Bongo. Clyde sounds like he needs some manners. Maybe you could show him the deed to your trails marking them as yours. Lola, I’m for sure going to make sure Clyde knows whose trails they are. Don’t worry pal, we’ve got your back!! Thanks Dalton. I bet Clyde would think twice if he saw both of us coming at him. that’s for sure! I bet we three would be great friends in no time!! Thanks Kevin. That Clyde dog is up to no good. That’s for sure. Little Binky, I was tempted to really put Clyde in his place – but maybe he realizes that anyway by now.